Blume's Blog: The Racist Who Got Away . . . The Racist Who Got Away . . . 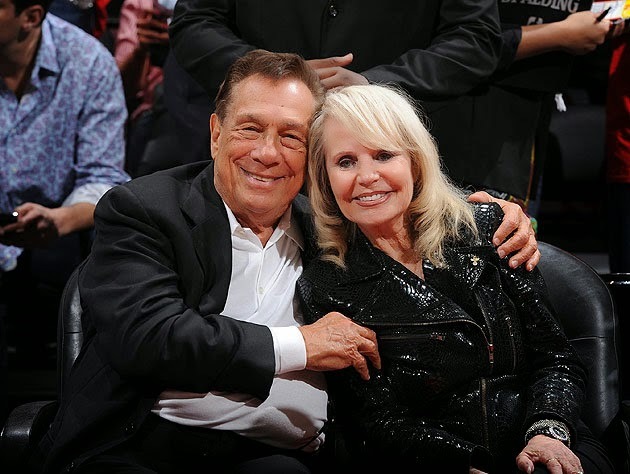 Some justice, anyway, is being done: Donald Sterling is suffering the wrath of the NBA commissioner, NBA owners players and fans, plus the disapproval of the civilized world, for his racism. (He doesn't want his young svelte mistress to be seen with the likes of Magic Johnson? Such a schmuck.) Sterling is a target of my wrath too, though maybe more so my disgust. Yet I can't but appreciate a piece by Mike Pesca that asks if what a man says in — what he believes to be — privacy ought to be snatched up by social media and used to remove him from his property. There is something 1984ish, I should think, about this. So many smart phones, so many little Big Brothers. And what about Cliven Bundy? How has he managed to slip through the cracks of wrath, nausea, and disgust? Bundy is the Wyoming rancher who has been grazing his livestock on federal land and refusing to pay the minimal nickel for the privilege. This a guy who hates Jews even more than blacks or — wait — was that the Duck Dynasty jerk? So many unevolved individuals, so little time. Anyway, re Bundy, last I heard is that when agents of the Bureau of Land Management appeared to collect a fraction of what he owed, he summoned a posse of Marlboro men, all on horseback, all with rifles, to rebuff them. Faced with cowboy movie resistance, all the federal agents could do was skedaddle. Didn't bring in Black Hawks, RPGs or SEALs. Easier to take down Osama bin laden than one such as Cliven Bundy, or so it seems. To be honest, Cliven Bundy bugs me more than Donald Sterling. I don't pay taxes to Donald Sterling. 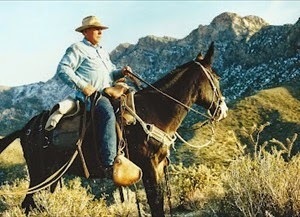 In effect, I do to Cliven Bundy. Donald Sterling was caught off guard when he mouthed off. I mean, unless he's suffering from dementia, he would have preferred not to have the nasty, stupid, racist things he said broadcast all over the twitterverse. Cliven Bundy, however, likes nothing more than mouthing off in public. His horse is his soapbox. He's sure Rush, Hannity, Beck et al find him heroic. And they did, until his despicable nonsense proved too much for (most) of them. Donald Sterling is being punished. Not Cliven Bundy. He's a cowboy, and we can't touch him.